Is it really May already?! The sunshine and warm weather insists that it must be so. It’s the season of weddings, concerts, graduations, and tons of other occasions celebrated through events. Not only that, but this Sunday is Cinco de Mayo! Grab your Coronas and margaritas and feel free to celebrate all weekend with these events ABCey has rounded up. 1. Creature Carnival NightLife | Thursday, May 2nd | California Academy of Sciences | Step right up for a night of circus fun inspired by the Academy’s marvelous menagerie of creatures. Play good old fashioned carnival games amongst roaming jugglers and gymnasts from Velocity Circus, and animal-themed Burning Man sculptures including Dusty Rhino. 2. Growth Hackers Conference | Friday, May 3rd | Broadway Studios | Join co-hosts Erin Turner and Gagan Biyani on Friday, May 3 at Broadway Studios in San Francisco to hear from new & returning speakers with track records of success building businesses using growth hacking techniques. 3. 2013 CASPA High Tech Job Fair | Saturday, May 4th| Santa Clara| All high-tech professionals in fab, semiconductor, software/hardware design, EDA, software development, finance, applications, sales & marketing, and so on are welcome. Hiring companies include: ARM, Contact Singapore, Hisense, HSBC, Intel, Lenovo, Marvell, MEMSIC, MediaTek, Microsoft, Sandisk, SK Hynix, SMIC, Synaptics, UMC, Beijing Delegation, Hefei Delegation, and more. 4. 2013 Kentucky Derby Day Bash & Hat Contest | Saturday, May 4th | Golden Gate Fields | Enjoy a day at the races, play the ponies, sip mint juleps, and bring a hat for the annual Run for the Roses Hat Contest. 5. SF Giants’ Free Cinco de Mayo Festival | Sunday, May 5th | AT&T Park | While the 2012 season provided plenty of reason to celebrate in the Bay Area, there is cause for yet another celebration: Cinco de Mayo! Bring your Cinco de Mayo celebration to AT&T Park and watch Los Gigantes de San Francisco, as they take on division rival Los Angeles Dodgers! 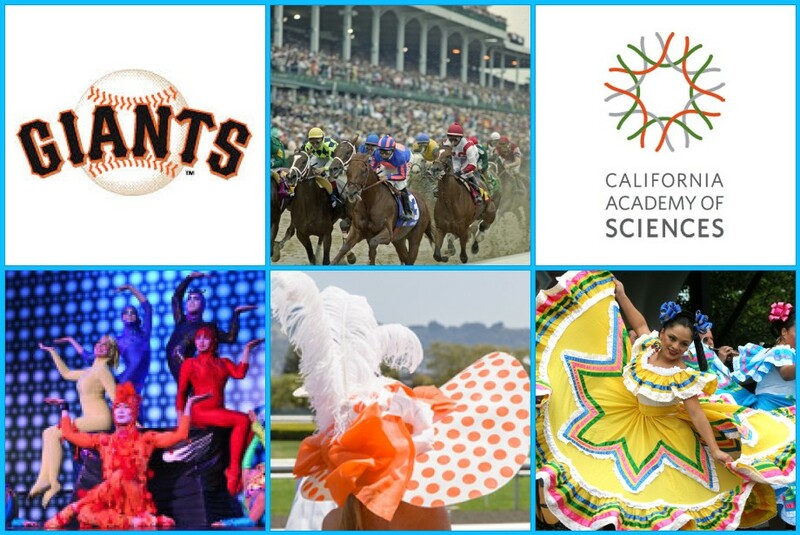 Bring the whole family out for a day of fun, cultural celebration, and Giants baseball.